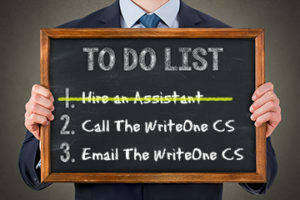 Why choose The WriteOne Creative Services over its competition? 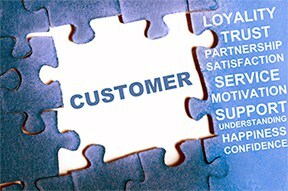 If not just for its stellar industry reputation and affordability, the other reason is clear: the ability to do everything for your small business. Instead of going to an expensive ad agency for your print work, a web design company and maintenance service for your website, a social media business for your Facebook, Twitter, YouTube, etc. and finally finding a decent copywriter for your writing, The WriteOne Creative Services combines nearly two decades in journalism and advertorial (advertising editorial) copywriting with ten years in graphic design, web design and marketing in one experienced person, passionate and dedicated to your business. The WriteOne Creative Services is a woman-owned, independent, on-call marketing department for the busy entrepreneur or small business that cannot justify the expense of hiring a full-time person or paying the inflated overhead of an outside agency. I work in only the most current Adobe Creative Suites CC family of products for graphic and web design. Too much outstanding on your “To Do” list? Do you want to utilize social media or offer a customer eNewsletter, but don’t have the time to learn or maintain these? Do you need to refresh a dated business profile or enhance your website? Do you want a personalized brochure that introduces and showcases your services? You can have a twice-published author, scriptwriter and experienced journalist and web designer on your virtual team. Do you want a custom client thank you or holiday card that separates you from the rest? The WriteOne Creative Services specializes in thinking outside of the box. From an inviting open house flyer to a comprehensive, customized design, print and mailing of an EDDM postcard campaign to imprinted magnetic car signs or tradeshow banners, you need look no further. If you desire professional creative marketing services without the inflated price tag, The WriteOne Creative Services can do it all for your small business on time and cost-effectively. Call 813.416.2068 to set up your own custom package and see how The WriteOne Creative Services can complete your “To Do” list.